Rarely these days do I find a new album that can bring me to tears; in fact the older I become, the more I think that the days of strong emotional reactions to all but the most nostalgic members of my CD collection are far behind me. It was shocking then to find myself so deeply moved by Mary Black’s stunning new album Stories from the Steeples. It’s not just another album from Mary Black, but a roller-coaster of the finest folk music from around the world, unique and sung with a subtlety that only Mary can. There’s a hidden barb in this album though, and for someone like me who grew up listening to her voice, it’s a harsh but beautiful one – and if your relationship to Mary Black is at all like mine, this barb may just leave a dark imprint on your soul. I first saw Mary Black live in the early 90s – I was fortunate enough to be there for her No Frontiers and Babes in the Wood tours when she played a small venue in York, UK. 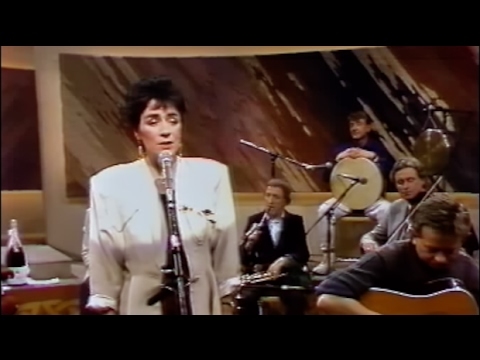 At the time I had no idea that she was one of Ireland’s biggest selling artists, but I was captivated by her storytelling songs and a voice that had no equal in its clarity and emotional depth. Few of my friends had even heard of her, yet I dragged them along to her concerts and made many converts as a result. In my memory, Mary Black was always a guilty pleasure – whilst my friends listened to more ‘trendy’ bands, I was eagerly waiting for her next album. With this songbook – the first new studio album for six years – Mary teams up with some outstanding artists to bring a collection of haunting folk songs from both familiar writers and new talent. Like her previous albums, the mix of tracks range from faster paced, almost cheeky songs, to melancholic heart-wrenchers. 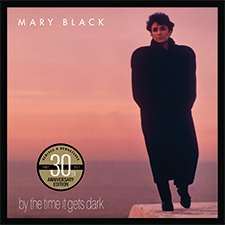 ‘The Night Was Dark and Deep’ is a classic example of Mary Black’s treatment of what could be, in the hands of a lesser artist, a cheesy listen-once ballad. However, Mary’s vocal lifts it into a dark, almost frightening false memory of childhood. It’s the story of a child overhearing a parents’ tearful conversation in the car when they thought she was sleeping – no mention of what the conversation was about, just the fear felt by the young child in hearing the mother’s crying and father’s soft spoken words. It genuinely makes the hairs stand up on the back of your neck, and leaves an impression that’s hard to shake off. In complete contrast ‘The Night is On Our Side’ seems, at least on the surface, a lighter fare. A typical Mary Black up-tempo romp in the vein of an older and wiser head giving the younger listener a little advice on what love is all about. But Mary clearly seems to be talking to her own children here, and we’re benefitting from eavesdropping on the conversation. It may be lightweight in comparison to many of the other tracks on the album, but it’s a welcome and balanced addition to the collection and thoroughly enjoyable nonetheless. No review of this album could be complete without a mention of the interpretation of Eric Bogle’s ‘All The Fine Young Men’, a track that provides a simple but very powerful attack on war. The gentle weaving of the accordion through the lyrics is achingly sad. Expect no happy ending with this song, nor any rescue from the darkness – if you have an empathic bone in your body you’ll find Mary’s understated and quiet rendition almost unbearable. So to the barb. If, like me, you associate Mary Black with an almost unbelievable quality of precision and purity of voice you’re in for a surprise. Mary’s voice has aged. This ageing shows itself in a gentle huskiness and a slight wavering that, if anything, adds more humanity and personality to what I’ve always considered to be the most beguilingly subtle and human of voices. Listening to the track ‘Faith in Fate’ the opening bars reveal a vulnerable Mary – unsure and hesitant in singing. A more careful listen however reveals an astonishing performance of subtlety and power. Although her voice isn’t as piercingly pure, it’s very, very, human and all the more effective as a result. I can’t express enough how powerful this is to listen to. Despite the initial shock of this frailty – this new voice hints at the ageing in all of us. How you cope with the revelation will depend on your own attitude to getting old and eventually dying. Mary Black has always invoked in me emotions linked to comforting scenes of Celtic snowscapes with cosy houses peopled with friends gathered around an open fire. It’s a settled, homely nostalgia that is often reflected in the lyrics of her songs. With this older voice, she has added a level of warmth and accessibility that her former purity may have lacked. She really is now like a friend who sings an old song to you as a favour whilst you are watching the harsh weather outside the window – not perfect but, if anything, it makes her songs even more powerful than they would otherwise be. This humanity and accessibility has made this album one of my favourites already. If I had any advice to give to Mary Black fans and newcomers to her music alike – buy this album! It will entertain, sadden, mystify & delight in equal portion and will leave a scar that may just, ‘last forever’.